If you are blessed with straight hair, you are lucky because you can style it however you like, also, straight hair products are many that can help you style it and make it look smart. The way you style it will depend on your preferences and the type of lifestyle you are living, with straight hair on your head, you will look classy and smart despite the length of your hair. If it is long, it will look better and it can fit with any style that you prefer, for your information, having a straight hair and styling it correctly can influence others. 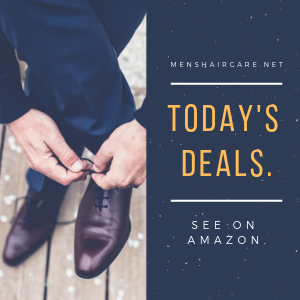 some straight hairstyles can make you have a business posture while other can change you to a sportsman, so if you have a straight hair, below are the best straight hairstyles for men that you can learn about and consider the one that fits your career. Slicked back method is good for sportsmen, it is done by leaving the head sides and the back of the head untouched, while the top of the head is slicked back. you can also mix it with pompadour styling to make it look contemporary slicked. No matter what length your hair has, slicked-back styles well do well but the longer the hair the better. To make it stay slicked for long, you need to some gel or mousse, if you let it fall back again, it will form a different unknown style. The pushed forward and faded style involves trimming around and pushing the rest forward. The whole figure resembles a bowl cut but rounded at the forehead and not on the ears. The fading trick applies on the back and sides of the head. You can leave some short hair below but also keep shorter on towards the neck, that will leave the top of your head sleek with straight hair. It is done like Mohawk but you don’t need to shave the sides of your head, but you can fade them a bit. You can also leave the hair on the sides of your head take any shape but style the top by straightening the hair up. 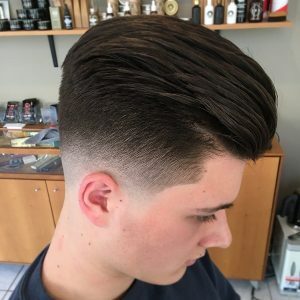 If you like shaving the sides, it can also do, that is why this one of the best and common straight hairstyles for men. This is the best hairstyle for long straight hair, it is done by dividing your hair in the middle than falling it on either side of your head. If you are a busy person, this is the style for you because it is easy to manage, with a small hairbrush or comb, your hair will get its shape. Like the slicked-back hairstyle mentioned above. This one is enhanced by having a buzz cut on the sides of the head and slicking the top of the head, it is good for use if you are a model, singer or even a sports person.